I’m pleased to be sharing my review of Fallible Justice by Laura Laakso today. My thanks to Louise Walters Books for the review copy. It can be hard to review a book that is completely out of your comfort zone and Fallible Justice, on the face of it, is just not my kind of read. I struggle generally with fantasy, Harry Potter being the most I can usually handle. But…….I have to say that Fallible Justice was very readable, even for this non-fantasy reader. Yannia Wilde is our protagonist. She’s a PI in Old London (as opposed to New London) but she’s the only Wild Folk living there, the rest being part of a conclave elsewhere. She has her reasons for being in Old London but she does find herself attracting attention, mostly unwanted. I loved her friendship with Karrion, who at the start of the story becomes her apprentice. They have a real rapport and I can see that what was set up at the beginning of this series will last and grow in future books. Yannia and Karrion take on a case to try and prove the innocence of a man who has been found guilty of a terrible crime. This is where the title comes from as Heralds have given the verdict and they are never wrong. Or are they? Is their justice fallible after all? Their journey towards finding the truth is fascinating and there’s enough of a foot in reality that I didn’t feel too overawed by the fantasy elements. It took me a little longer than normal to read this book, I think because I needed to fully understand all that was happening and get to grips with the magic and the paranormal and Yannia’s sensory skills which allow her to borrow the nose of a nearby animal. I’m sure seasoned fantasy fans would race through it though. Overall, I think this is an accomplished debut and a must for fans of the genre. I found myself very interested in the mixture of magic and reality, and in Yannia’s back story. Laura Laakso is a Finn who has lived for most of her adult life in England. 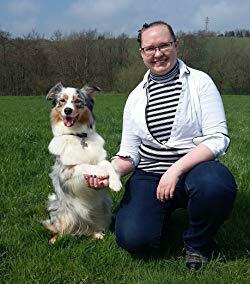 She is an accountant, dog trainer and author. 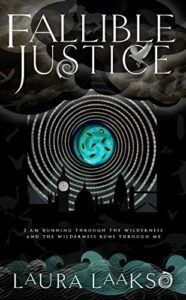 Fallible Justice is her debut novel and the first in her paranormal crime series Wilde Investigations. I hear you, I also struggle with fantasy novels. Good review! I was just the same, but Fallible Justice really captured my imagination. I thoroughly enjoyed it. I think the fantasy world within it was well-drawn, Mary.